Athletics Malta were given full responsibility for all facilities at the Matthew Micallef St John athletics stadium. Talking to athletes over the years, certain complaints tend to crop up time after time. The lack of quality competition or the difficulty to practise professionally while holding down full-time employment at the same time are typical examples. Above all, there was the Marsa track. The many people who saw the track as an ideal place for a stroll or a gentle walk failed to see the problem, much less the danger, of hogging up a space that, in reality, should be the realm of those trying to seriously prepare for their sport. Most athletes will tell you of occasions where they had to face up to people who were aimlessly walking round the track while they were trying to put in a training session. The situation wasn't helping the athletes prepare as they should and, in turn, the sport to develop as much as it could. Tony Chircop, Athletics Malta president, agrees. "For our athletes to prepare themselves well, first of all they need for the track to be available," he told The Times. "As the track is being run today, it is like a public garden with people coming in to wander around without any control." The strong desire to change this situation is what has fuelled Athletics Malta's persistent lobbying to be granted the right to manage the Matthew Micallef St John track. Now, after years of work, they've finally been given the green light. 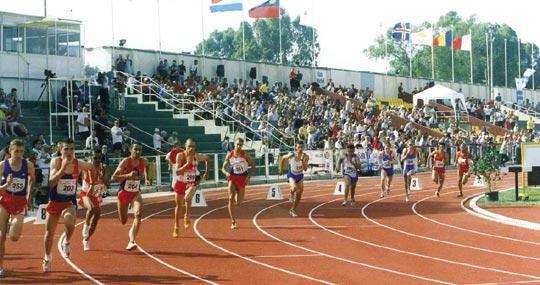 "Athletics Malta has entered into an agreement with the authorities which makes us responsible for the marketing, maintenance and control of the track," Chircop said. It is a huge undertaking for the association, which must now also face up to the financial responsibilities of running the facilities. This will lead to some tough decisions. "It is the association which has to find the funds necessary for all utilities, services and maintenance. So, one cannot expect things to stay the same but we will certainly try to find a balance in all this," Chircop said. Even so, every effort will be undertaken to ensure that the association can benefit from any assistance possible. "The Kunsill Malti ghall-Isport does have a set of incentives for sports associations, one of which refers directly to financial assistance for the maintenance of state-owed properties. "We expect to be able to apply for such assistance," Chircop said. "We also have contact with the "Technical Department" of the IAAF and hope to receive their backing and advice to enable us to continue develop the place." That of developing the facilities has to be at the foremost of Athletics Malta's objectives. "The track is still good but there needs to be greater control on the use of certain parts of the lanes," Chircop said. "Lane one, as a priority, needs to be protected because it is overused and the granules of the rubber surface have virtually disappeared with wear. This would render obsolete the 'certification' as an IAAF Approved Track meaning, 'unfit to host an international event'. "This is one of the problems that we will address first and foremost." Yet, the track in itself is the bare minimum that is required. Chircop concurs. "Apart from the track itself we need adequate dressing rooms, a well-equipped weights room, a clinic and testing laboratory. "If we are to develop the place into an accredited training centre, we would need to install other facilities such as a sauna and jacuzzi, not to mention administrative offices and a hall," he said. "In the warm-up area, which is behind the stands, there's enough room for most of our projects." All of which should help facilitate improving the level of Maltese athletics. "The standard of local athletes has continued to improve year after year. We no longer participate just to show the flag," Chircop remarked. "We are now seeing some of our athletes qualifying through to the semi-finals and even the finals of international competitions. "Over the last few years, we have invested in a solid coaching structure and now we have several IAAF Level 2 and 3 trainers. "With professional facilities and experienced coaches, I am confident that the level of our sport will continue to improve."